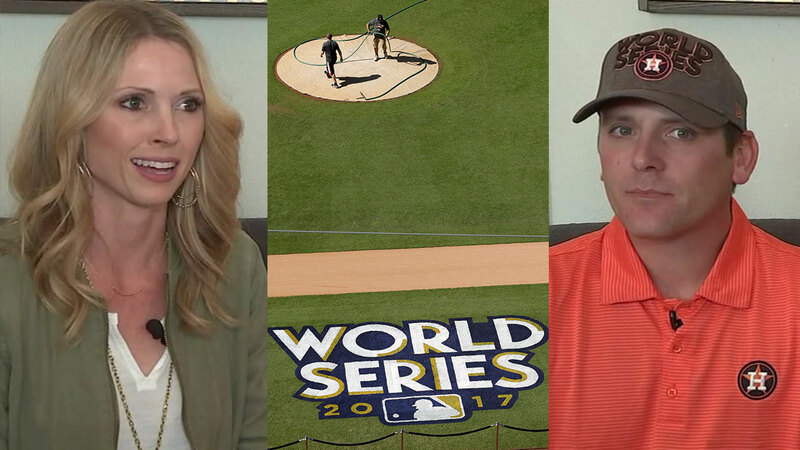 HOUSTON -- Astros fan Kirk Head says he bought seats in the Crawford boxes at Houston's Minute Maid Park with the intent of catching a Dodger home run in the World Series and throwing the ball back. Yasiel Puig's two-run homer in Game 5 sailed into the Crawford boxes over left field. "It just felt like...really, that ball was in slow motion, coming at you, falling out of the sky slowly at you," said Sarah Head, who caught the home run ball in the top of the ninth inning. The Crawford boxes are a section of Houston's Minute Maid Park on the Crawford Street side that are above what is believed to be one of the shortest outfield fences in Major League Baseball. The outstanding question now is what would that ball have been worth?